Company videos have become one of the most increasingly desired digital branding tools by marketers and consumers alike. Whether it comes in the form of a YouTube playlist, high-quality videos from a production company, or a single Instagram shot, everyone seems to be racing to own the next ”viral video.” Related: 3 Signs Your Office Is Cooler Than Your Culture Often overshadowed by the pursuit of virality, identifying the purpose of video creation is commonly disregarded. While the end goal may be to have a viral video, the purpose describes what the video will accomplish on the way. If a video truly goes viral, but serves no real purpose to your brand, then what’s the point of earning millions of views? What a company video really needs is a clearly defined goal (Hint: Other than going viral!). No matter how small, even the shortest of videos can achieve something. By identifying and aiming for a specific accomplishment, you will create better content. Take the video below, for example. 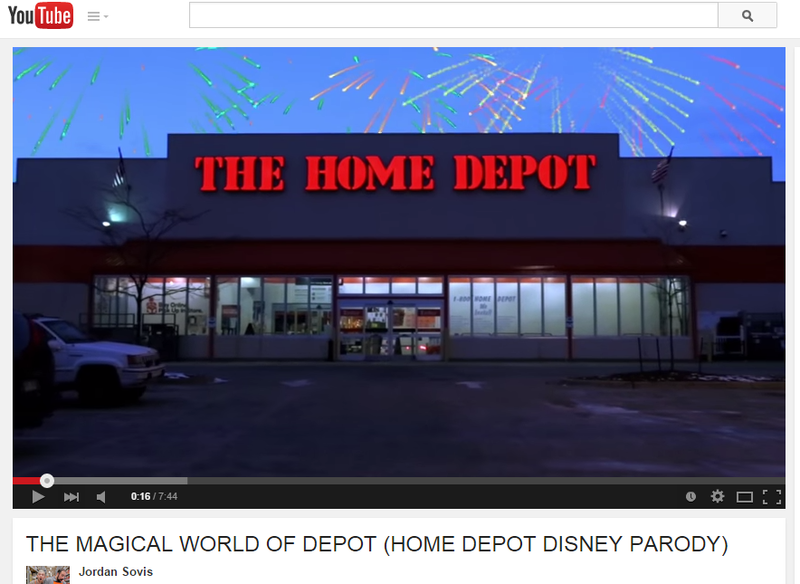 It was created by Jordan Sovis and his team from The Home Depot. 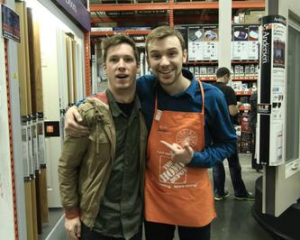 Jordan is a Sales Associate in the paint department of The Home Depot by day, and a video production director by night. His cohorts, Casey and Micayla, are a Merchandising Execution Team Member and a Cashier at the company, respectively. Inspired by The Home Depot’s annual challenge to its employees through the “Home Depot Search for a Star,” the three employees set out to make a video that earned them a spot to perform at the annual managers’ meeting in Las Vegas, while gaining mentoring and showcasing the fun they have in “The Magical World of Depot.” Paired with The Home Depot’s pride in its employees’ talent and its encouragement of their video development, Jordan’s production skill and knack for storytelling has earned this video tens of thousands of views. Starting with the goals of “capturing the hearts of as many people as possible” and incorporating features and aspects that would appeal to a wide demographic, Jordan explained that he set out to make a feel-good advertisement. With that, the number of views continues to climb. The truth is, you can’t manufacture “viral.” You can, however, manufacture compelling, accurate content. If you create something great, the audience will follow. With this in mind, what does it take to make viral-worthy company videos? One of the goals you should have in mind before you even “Take One” on your video is to identify your target audience. The best videos resonate with audiences because they’re designed with a particular group in mind. Do you want to reach Millennials? Baby Boomers? Do-it-yourselfers? Determining a target audience doesn’t limit your reach; instead, it gives you an opportunity to reach the right people. The right people are those who will watch your video again and again, share it, or take action because of it. It’s more important to have 1,000 of the right viewers than 10,000 people who don’t care about your message and forget it as soon as they’ve clicked the X on the screen. If you want your brand to stick in peoples’ minds, aim for your target audience. If your video is truly captivating, it will help you expand your reach. Getting employees to participate in the making of a video, share their insight, or suggest tactics can be sometimes be a challenge. As a company, however, it’s important to welcome feedback and give them tools to get involved. When you feature your employees in a video - whether it’s a spotlight or interview, a parody, or just behind the scenes - you are showcasing what it’s like inside your company culture. This goes a long way, not just in engaging consumers, but in retaining employees and earning job candidates who are aligned with your culture and brand. Don’t be afraid to give your employees a voice and empower them to be your advocates. If they feel the videos represent the culture and their experiences as employees, they’ll be more likely to share the videos with networks of their own. This one should go without saying (right? ), but having seen enough videos that miss the emotion mark and land somewhere in the space of “awkward,” I’ll say it again. Try to convey a genuine emotion. If you’re actually aiming for awkward, then so be it. But, generally speaking, I think we try to avoid that sensation in our branding efforts. When companies feature employees and come across as too buttoned-up, it doesn’t give viewers a true sense of what your business is like inside. (Unless you are legitimately stuffy and only as deep as your corporate mission statement. Trust me, you’re probably not). Instead, discover what makes your stakeholders - both internal and external - feel something and go with that. Is there a sense of urgency? Humor? Excitement? Sympathy? Get specific with what you’re trying to achieve and build a storyboard for your video that allows you to connect with viewers. If they experience the emotion you’re aiming for, they’re not likely to soon forget your video. Finally, if you want your video to reach people outside of your office, it has to be something people want to share with their friends. When you share any piece of content, it’s a small representation of yourself, too. What I share says a lot about how I want people to perceive me and the things I like. So, when you’re creating a video, keep this in mind. Will people be willing to say they connect to a theme in it? Did it make them laugh? Did it send an important message that mirrors their beliefs? If it’s not a video you or your employees are excited to share, it won’t be one other people find share-worthy either. “If the video relates to a person, their interests, their past, their style, or sense of humor, then it is worth being shared. 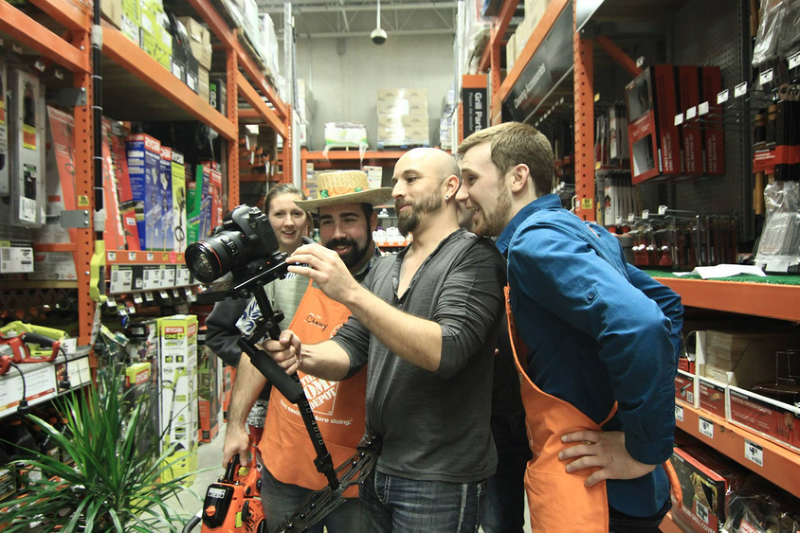 People like to watch things that they don’t see every day.” -Jordan Sovis, Home Depot & Sovis Productions Do you have a video that showcases the five must-haves? Is there another “must-have” you’d add to our list? Tweet me @SamanthaSaysSo and tell me about it! Receive articles like this in your inbox and more by subscribing to our weekly newsletter! P.S. You’ll get a free ebook just for stopping by.